Voted one of the top golf resorts in Ireland, the Lough Erne Resort, provides the ultimate 36-hole golf experience. Featuring two championship golf courses including the renowned Faldo Course; golfers can also hone their skills at The Golf Academy, or practice at the all-weather driving range. 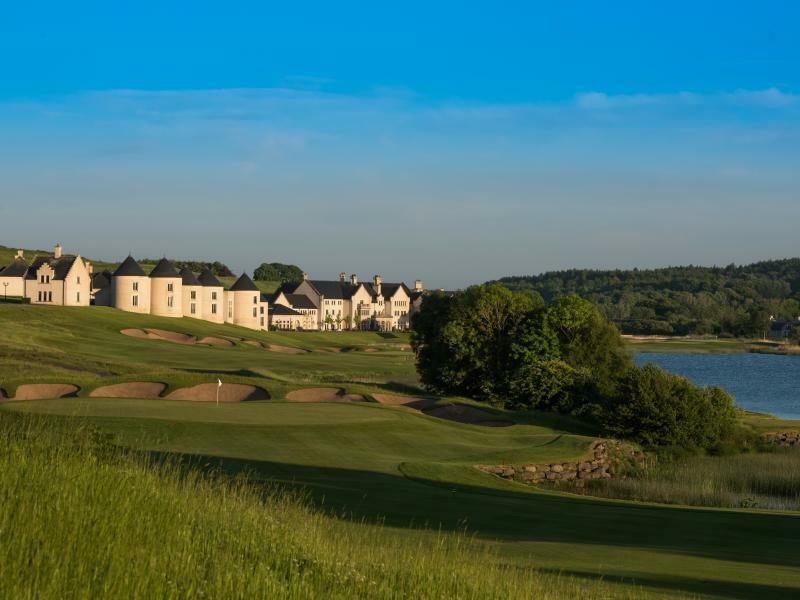 As the gateway to North West Ireland, Lough Erne Resort is the ideal base for a golfing break where you can combine a round on The Faldo Course and Castle Hume with some of Ireland’s best links and parkland courses nearby. Designed by 6 time major winner, Sir Nick Faldo, a top 100 course (UK & Ireland), measuring 7,071 yards Par 72, offering stunning views of Castle Hume Lough & Lough Erne, with superb all year round playing conditions. Championship parkland course with stunning views, manicured fairways and well contoured greens, Castle Hume has been host to an unprecedented 10 Ulster PGA Championships. With dedicated PGA professionals, we can cater for every level of golfer. A variety of golf lesson packages from beginner to advanced are available that utilise state of the art facilities and technology to develop your game, including the use of V1 camera capture and Flightscope technology. Our all weather flood lit driving range allows the most avid golfer to practice even in inclement conditions but is the perfect place to warm-up pre-round. Golf Enquiriesat Lough Erne ResortPlease click here to fill up our golf enquiry form. Fermanagh, BT93 7ED, Northern Ireland.